This topic contains 26 replies, has 13 voices, and was last updated by Maggie Gesco 4 years, 10 months ago. 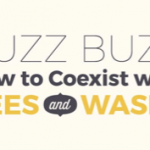 Whether you’re an experienced beek or a total new-bee, this is your place to ask questions and help others in their learning process. Fire away! There is honey in my hives, but due to the slow year we’ve had and the current dearth I would prefer to not take any off (if at all) until later in the Fall or early Winter to make sure the bees have plenty. Can you please tell me when would be a good time to harvest while making sure the bees are not penalized? Thanks. Hi Ceebs, I wouldn’t take any off at this point, until the spring. While in the dearth, it’s going to get them through the time of least resources out there. Then, we may have a “fall flow”, when things cool off a bit and we get some blooming natives. But if we have any winter rains and cold, they will hit after that and that’s when the girls are going to need their stores! So I would wait until late February or March, when your forage will be awesome, and the workers can put back right away any surplus that’s taken. Finally, a sensible answer! Thank you. I had read some internet stuff and determined that late Fall was best but I like your answer better and respect your advice even more. Spring it is. I want those girls fat and happy. How many of you have ever gotten a swarm to come to a swarm box? If you’ve had success in attracting some bees, how did you do it? Did you use pheromone? lemongrass oil? both? I have a nuc box about 15 feet up in a tree at a house in the SF valley where the homeowner has had bee hives inside of that tree for years. Her next door neighbor hates when swarms land on his property so we have been keeping a 5-frame nuc box up there pretty much all the time. With beeswax on starter strips, it’s a well used nuc box which I also baited with a q-tip of lemongrass oil. I have caught two swarms there since last April. Hi I just joined this site today. I came home to s surprise I have a swarm hanging in my tree and am thinking about keeping the bees. Any suggestions? I live in Santa Monica. Tamme—unless you have all your woodware built and ready to go, bee suit, veil, equipment tools and *education,* it would be best to let this swarm move along on its own. They will only stay a few hours or days. Your best bet is to get equipped and place a baited hive or swarm box in your yard. it’s early in the season; another swarm will find you when you’re more prepared. 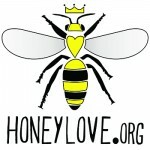 In the meantime, become a HoneyLove annual member and come to lots of workshops. This reply was modified 5 years, 1 month ago by ceebs bailey. I also need a hive removed from my house, but rather than have the bees taken away, would like to keep them on my property and start beekeeping. It looks to me like the groups listed in honeylove/rescuebees only remove the bees. How can I get some help with removing the bees from my house *and* setting them up in a box on my property? Because of the legal situation, so I have to do the latter process myself? This is in the North Hills area of the San Fernando Valley. Thanks. Brandall – I’m just up the road from you. Give me a call (661.312.3910) and I’d be happy to come down and see what can be done in terms of doing a removal and rehiving. Many of the professional rescuers listed on our referral page also do private one-on-one mentoring and/or hive management for hosts. Max and cb – thanks for your help. I’m well on my way to getting things taken care of. how many hives can one responsibly and responsibly keep on a 1//4 acre residential lot in the City of Los Angeles? We have a fair amount of bloom all year round from a variety of flowering plants. We have two established hives, but we recently captured a swarm with the intention of giving it to a friend, but that friend can no longer take them. Would 3 hives be too many? We’d rather gift the hive to a willing and ready taker if our other two hives will have a greater chance of thriving.